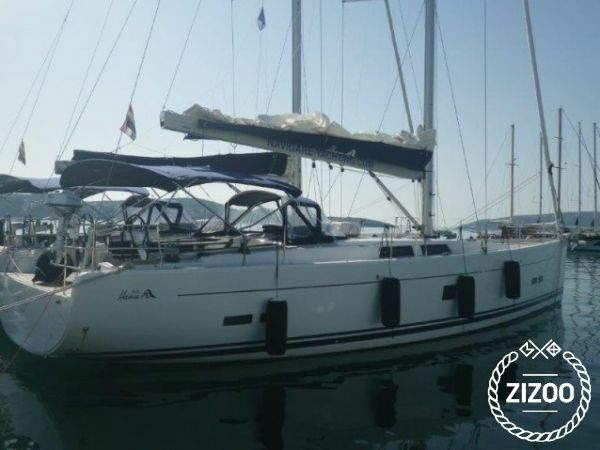 With elegant lines and smooth maneuvering, the Grace of Sweden, a 2013 Hanse 575 is a lovely sailboat based in the charming town of Kastela, northwest of the historic city of Split. With 6 double cabins, and 4 bathrooms, this boat has more than ample space to welcome large families and/or groups of friends. Be a Viking and explore the Adriatic, with over a thousand islands to choose from. Much like the Swedes, who love the outdoors, the Grace of Sweden can help you discover picturesque landscapes, and untouched natural beauty that have been an attraction for many visitors for hundreds of years. From Greek sailors to Venetian royals, the Croatian coast is a magnet for anyone seeking peace, serenity and an infinite sense of freedom and oneness with nature. For specific routes, destinations and sailing queries in general, feel free to contact your crew, always there and ready to help. we have had an accident. the cooperation, help, support, ... was very friendly and easy going.